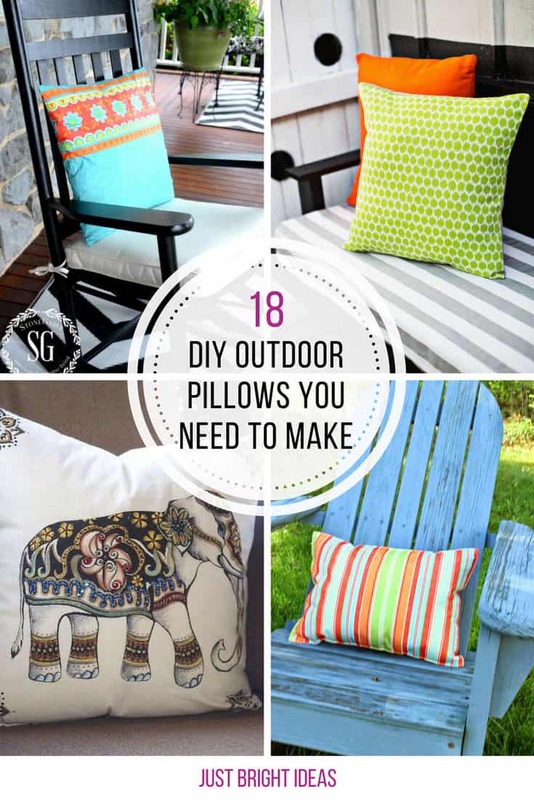 It’s time to start thinking about decorating your porch for the summer months, and if you want to be comfortable you’re going to need an outdoor pillow or five. 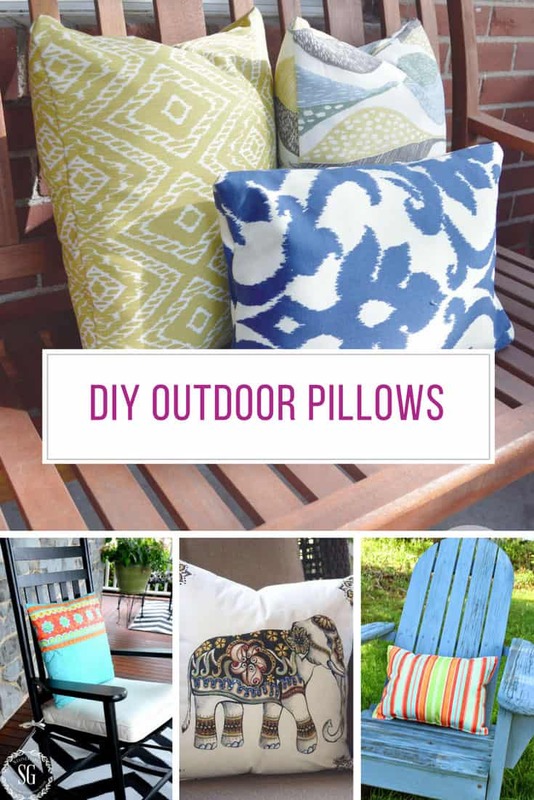 But they can be super expensive to buy so we’ve rounded up a whole pile of DIY outdoor pillows to inspire you! Scroll the page for all the ideas and be sure to pin your favourites for later! You know that gorgeous umbrella you spent a fortune on that has spokes poking out but you just can’t bring yourself to toss it into the trash? 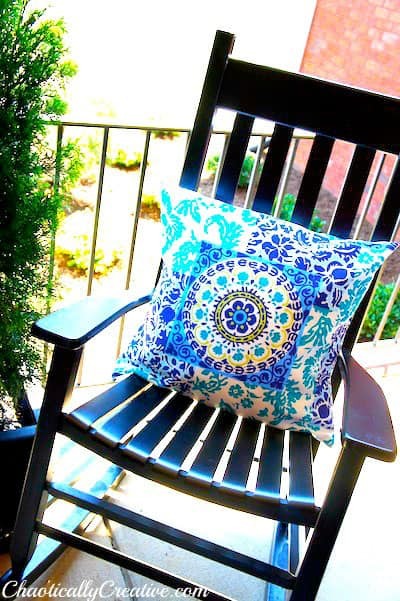 It sure would make a fabulous (waterproof) outdoor pillow! 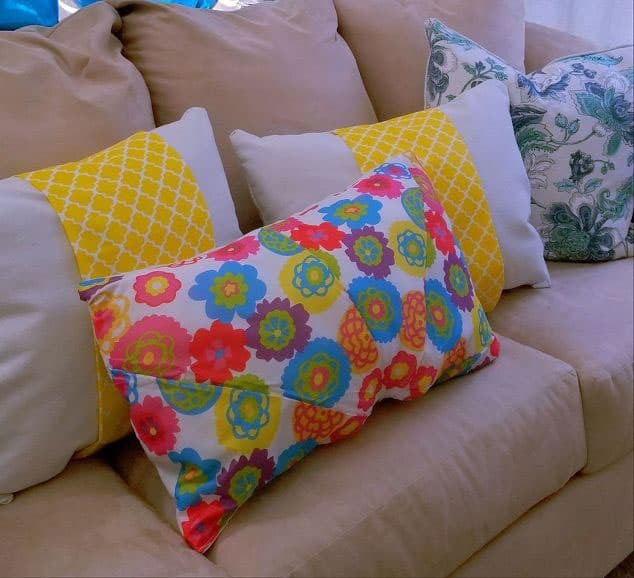 If you’re looking for large outdoor pillows for your porch and can’t swallow the price find out how to make your own with a tablecloth, shower curtain and a pillow case! 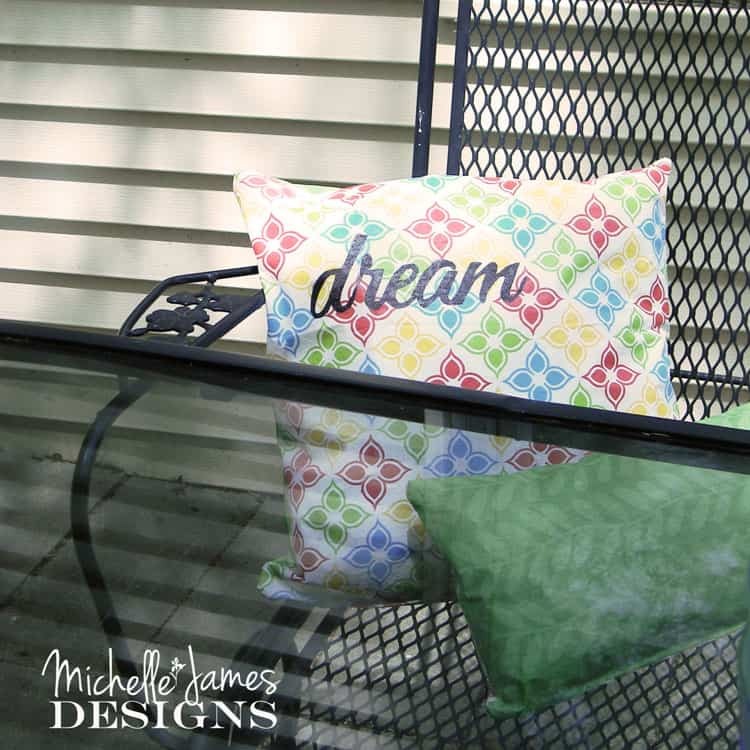 If you want to add some lettering to your outdoor pillows go grab your Cricut! 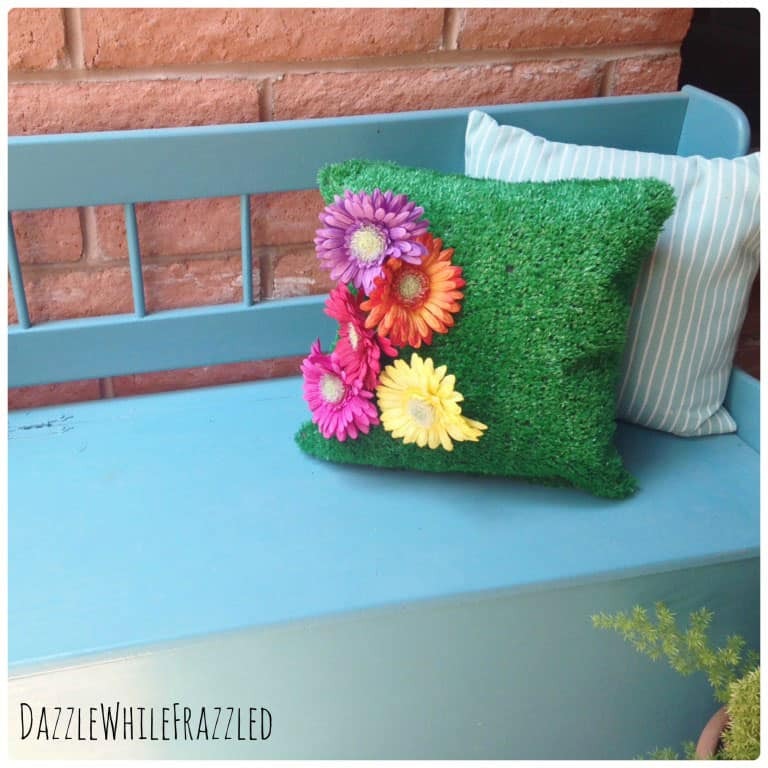 A pillow made from astro turf? Totally genius! 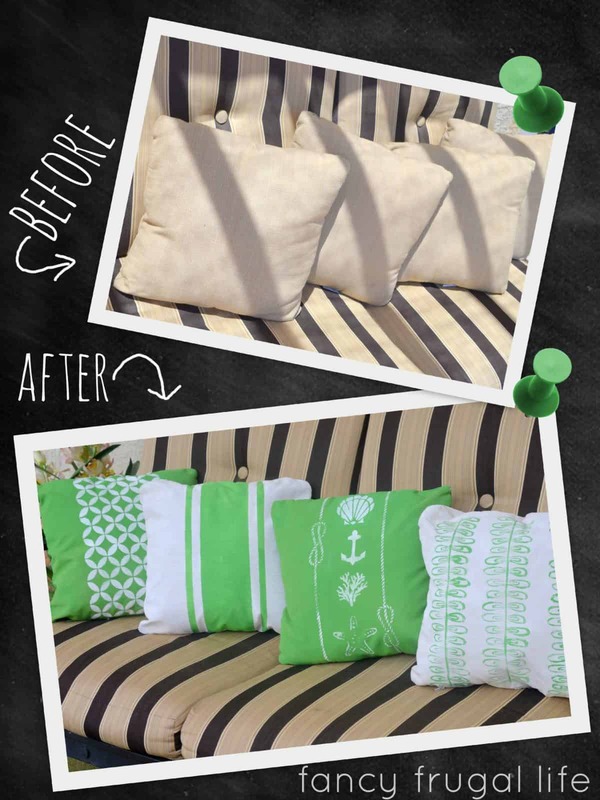 The cheapest way to DIY new outdoor pillows for your porch is to upcycle your old ones! 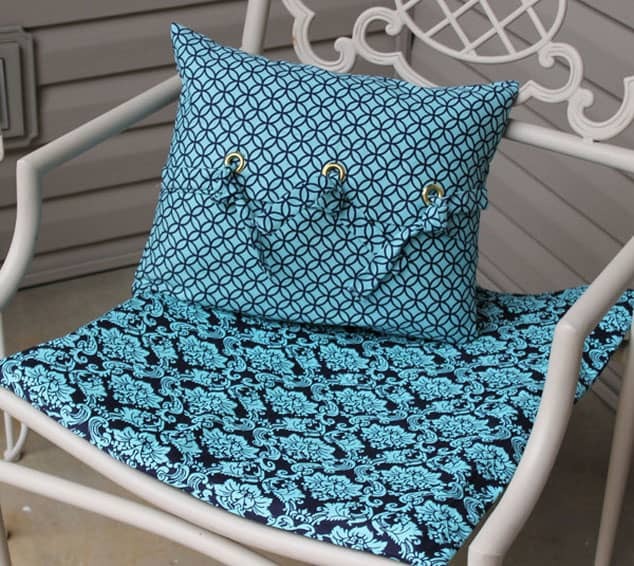 How fabulous is this grommet pillow – and so easy to make too!